I’ve got dozens of chicken wing recipes, but even so, sometimes I just want something different. 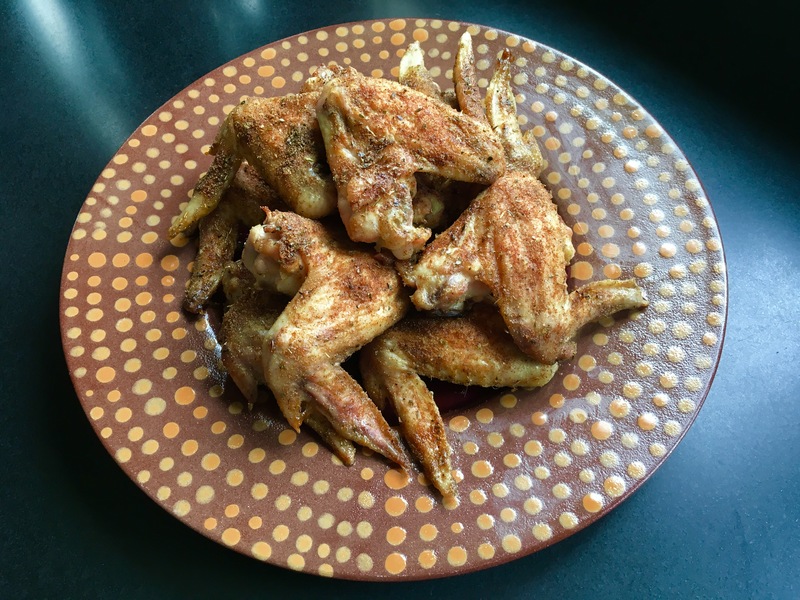 I decided to take my favorite taco seasonings recipe and adapt it to chicken wings. Caramba! One of the tastiest wings I’ve made in a long time! This is such an easy and delicious recipe to make, even for a crowd. At your next party, just double or triple the recipe, as needed. Combine the salt, cumin, oregano, paprika, onion, garlic, and pepper in a bowl. Mix well. Cover a baking sheet with aluminum foil and spread the wings out on the sheet. Sprinkle the wings with the avocado oil and rub the oil all over the wings. This will help the wings cook evenly, and it’ll help the seasonings stick to the wings. Turn the wings bottom-side-up and sprinkle with the seasoning mix. Flip the wings over and sprinkle them again, coating them evenly. Place the baking sheet in the oven and bake for about 45 minutes.